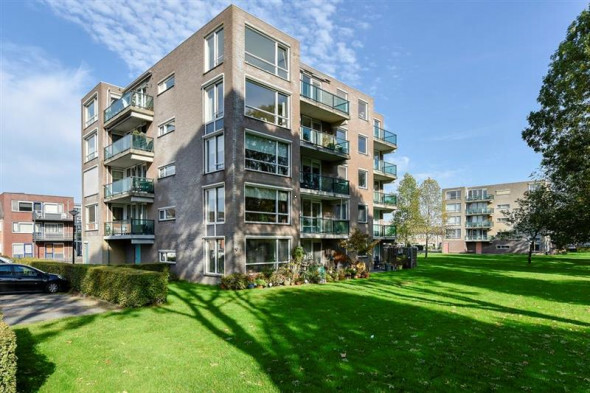 Beautiful luxurious 3-room maisonette of no less than 120 m2 with a spacious roof terrace and two balconies in the center of Mijdrecht. Mijdrecht is located geographically in the center of the 'Green Hart', 20 minutes by car from Amsterdam, Hilversum, Utrecht and Schiphol. Moreover, you can reach The Hague, Amersfoort or Alkmaar in 45 minutes. A perfect location in the Netherlands. In addition, Mijdrecht has many different types of facilities including a library, swimming pool, sports hall, (secondary / primary) schools, cultural activities, jazz literary café, (sports) associations, a good shopping booth and a cozy center where activities are organized throughout the year on the famous Raadhuisplein. Through the stairs you directly reach the roof terrace of the apartment complex, located on the west consisting out of 4 apartments. From the terrace you directly reach the entrance of the apartment with access to the hall from which the bathroom and the bright living room with semi-open kitchen are accessible. The living room has a sitting- and dining area and offers access to the cozy balcony that overlooks the pleasant shopping street. The modern kitchen is equipped with a 4-burner gas hob with extractor hood, dishwasher, steam oven, fridge and freezer. Here you'll find a spacious landing with a cupboard equipped with washing machine, dryer, extra freezer, and the combi boiler. At the front side the first large bedroom with access to the second balcony and at the rear the second large bedroom. This cozy apartment is located in 'the old village center' with all supermarkets and shops within walking distance. Within 30 minutes you can reach the center of Amsterdam and public transport is around the corner. 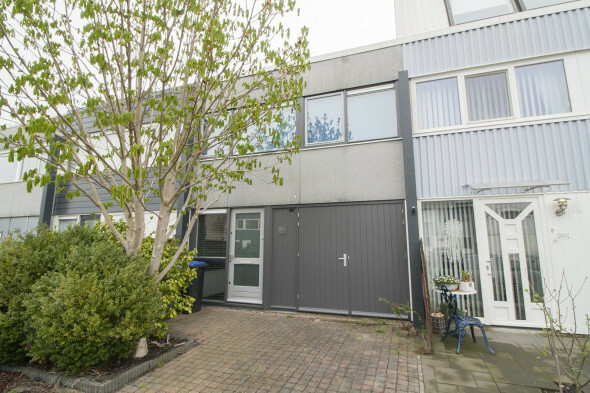 This luxurious maisonette is offered for a rental price of € 1,650 excluding the use of gas, water and electricity, TV, internet and local taxes.